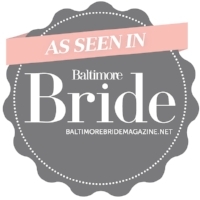 Wedding photographers serving the Baltimore, Annapolis, and Eastern Shore area. Creating clean and classic imagery.Wedding photographers serving the Baltimore, Annapolis, and Eastern Shore area. Creating clean and classic imagery. We absolutely understand the importance of documenting your wedding day. It's a day you have dreamed of for as long as you can remember and it's a day that you have invested a lot of time and money into planning. Your favorite people from all over the world will be in one place at one time and these moments are once in a lifetime. That is why we are committed to capturing each and every moment of your wedding day, so that you will have gorgeous images to pass down to future generations. Contact Us to learn more about our Wedding Photography Packages. We believe in hard work and creative passion to create genuine moments that will tell the story of your beautiful wedding day. We would love to get to know you, so hop on over to our Contact Page and send us a quick line with some details about your Wedding Day. Also, we have listed some Frequently Asked Questions on our Wedding Experience page, so feel free to take a look, as we hope to be a helpful resource for your Wedding Planning season. We can't wait to meet you and capture the many precious moments of your Wedding! While we take our job seriously, we don't forget to have fun while doing it! We will literally do whatever it takes to get the perfect shot; stand on objects, jump in the mud, or make ourselves look silly to get the perfect laugh! We want this to be a fun experience for you, while also delivering images that you will cherish for many years to come. Head on over to our Meet the Team page to learn more about the team and what drives our passions of Photography. Contact Us to become a Kira Nicole bride!